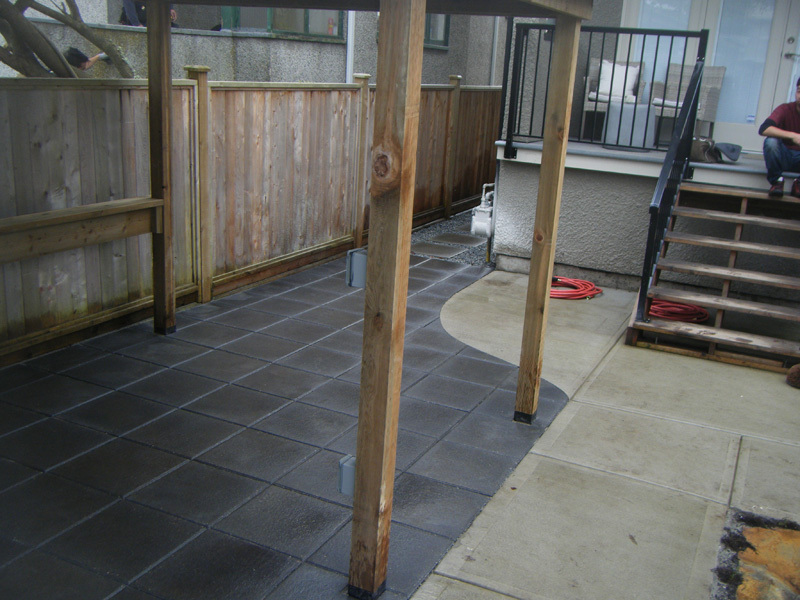 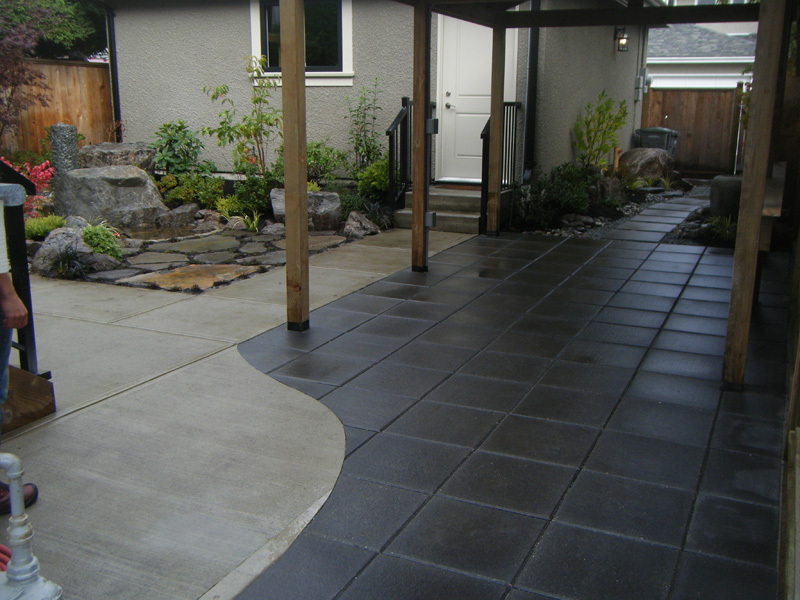 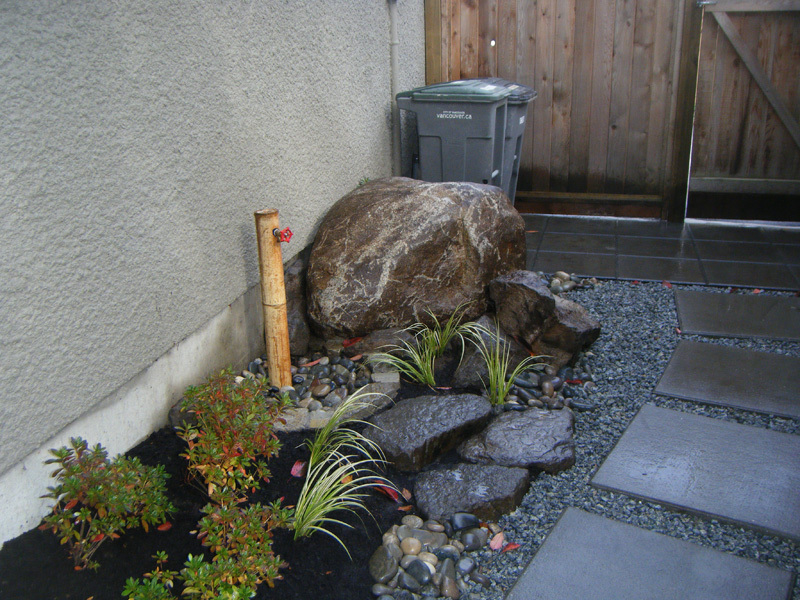 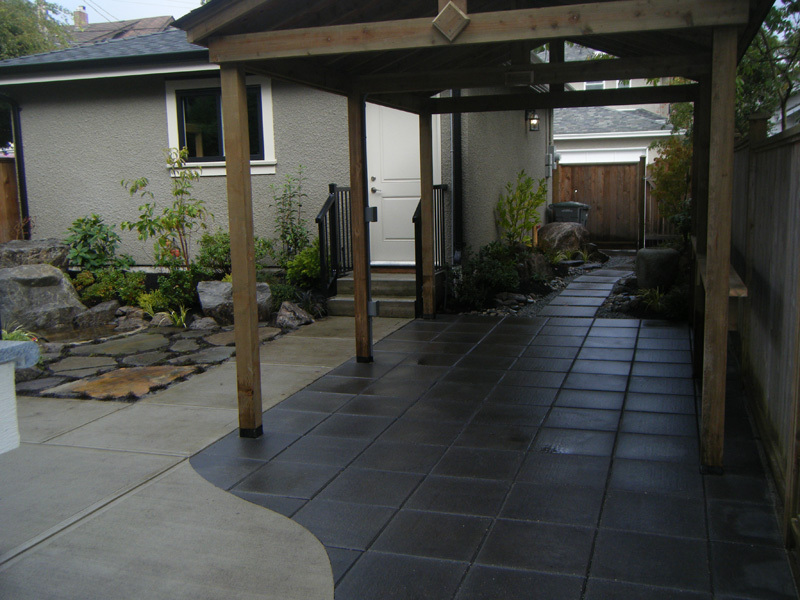 Marpole – Vancouver | Earth Sculptors Inc. 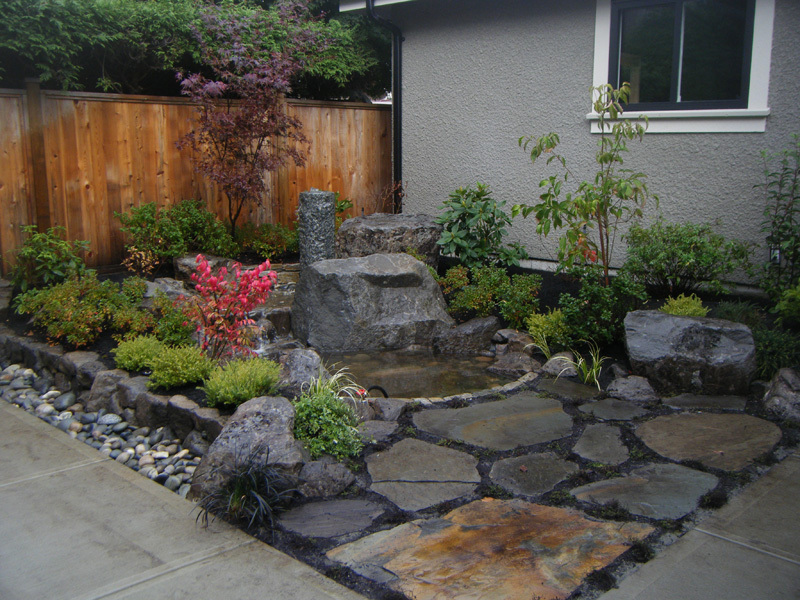 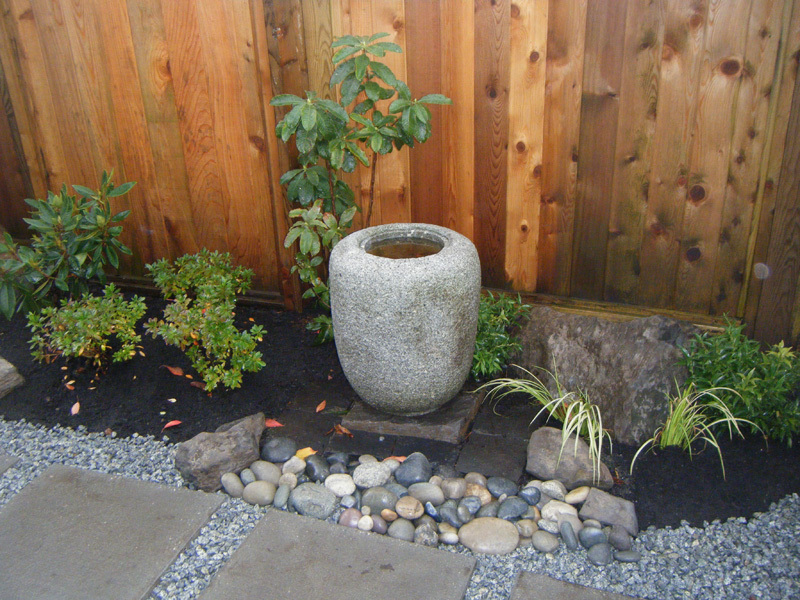 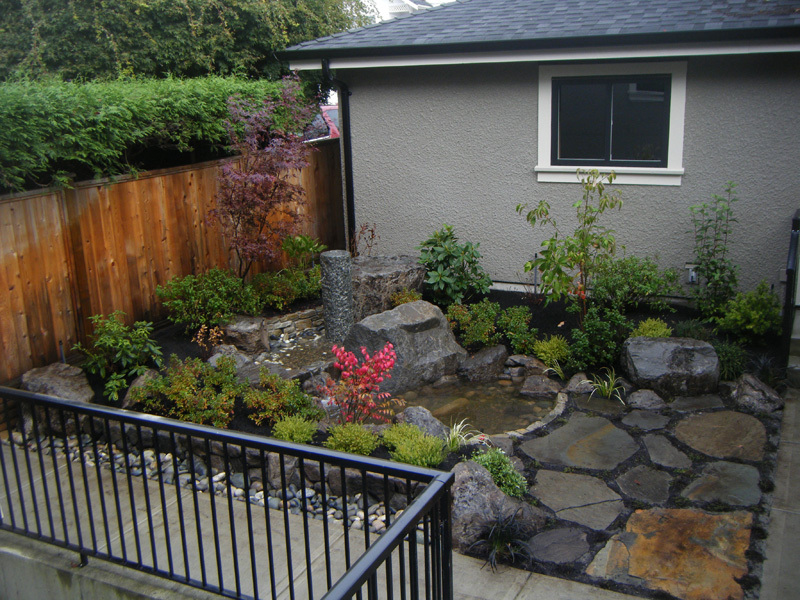 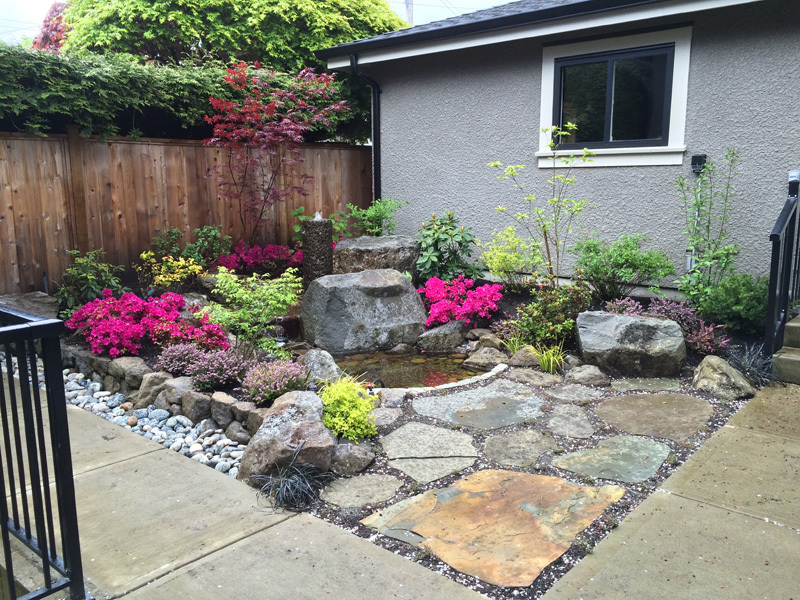 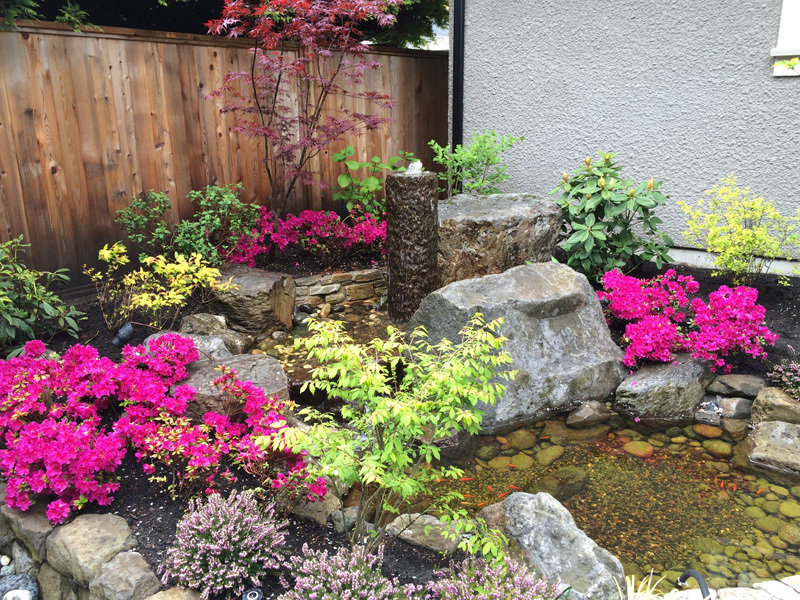 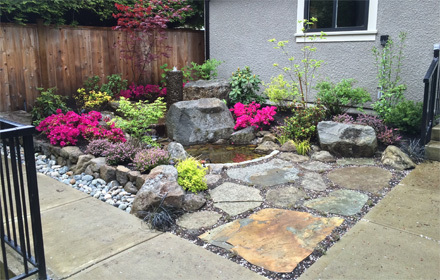 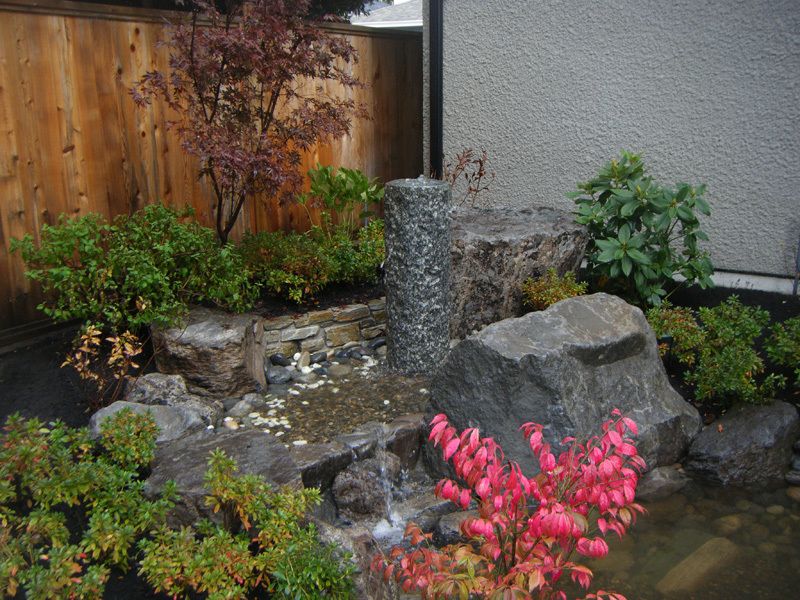 In this modern take on a Japanese garden, a water feature is the main focus of attention. 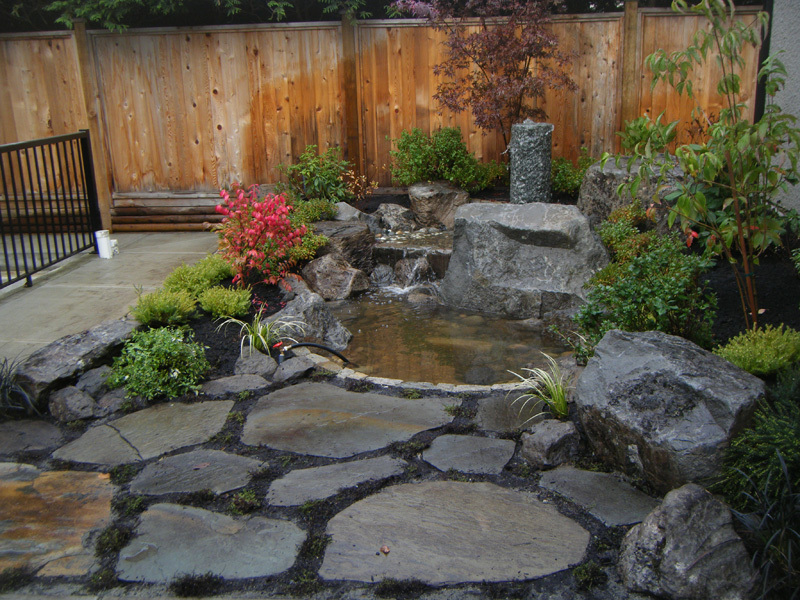 Water flows from a gurgler to a step, and then to a pond beneath. 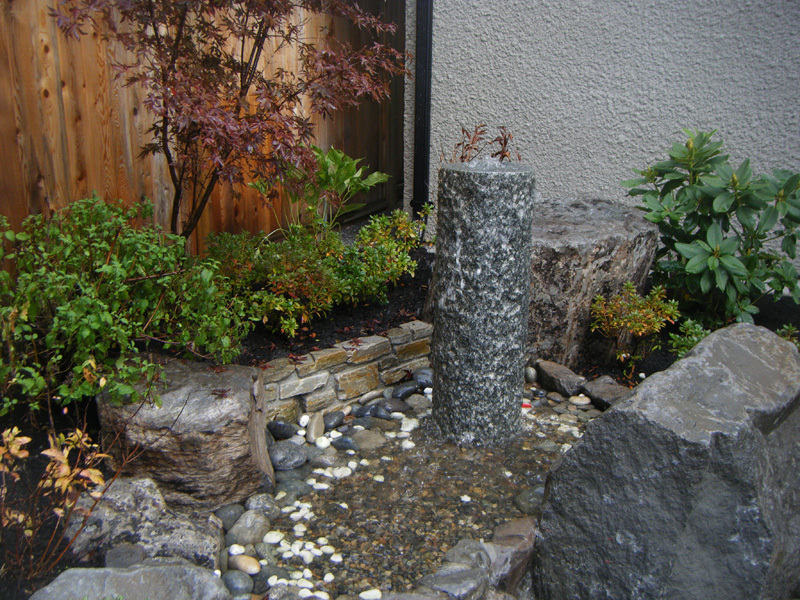 Visitors can enjoy the fountain while relaxing in the extensive patio area. 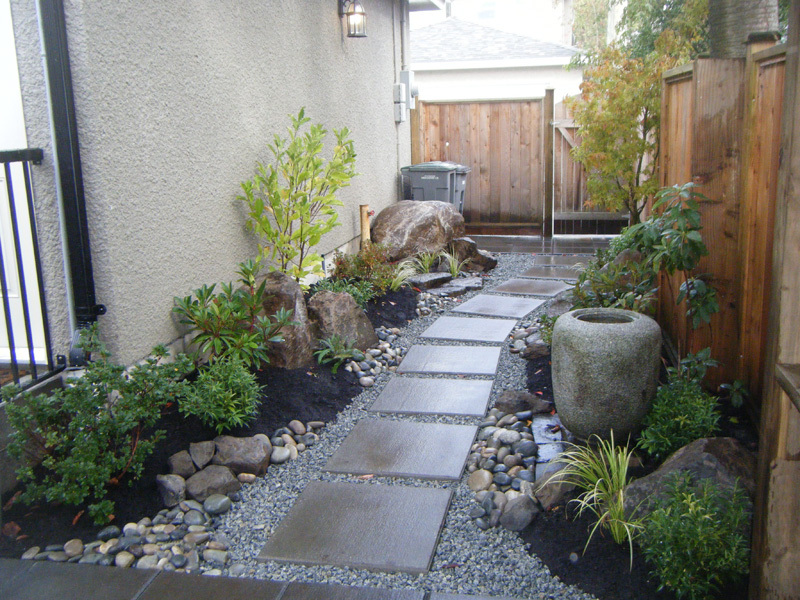 A matching garden space was built into a narrow area leading to the back lane, making that area feel more spacious.